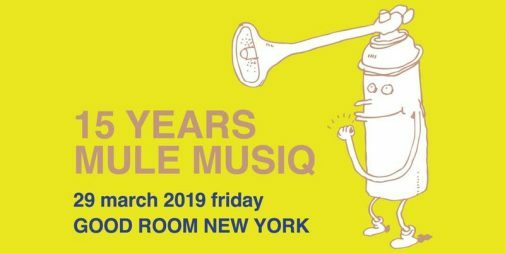 15 years of devotion, 15 years of constant evolution: Mule Musiq is celebrating its triangular anniversary of 15 years in music at Good Room on March 29. 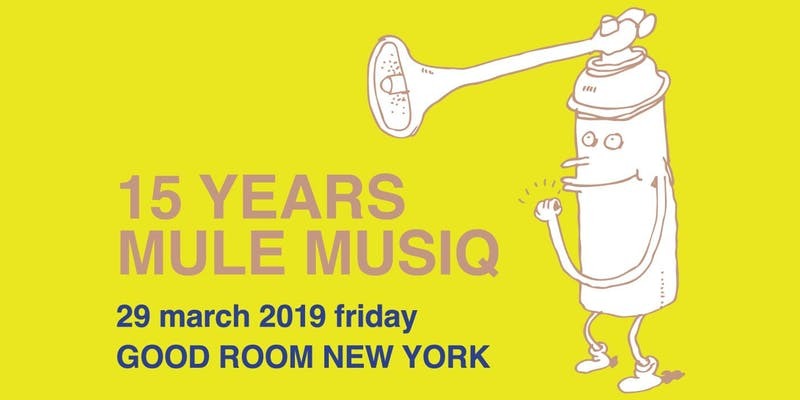 The label was founded in Tokyo by Toshiya Kawasaki in 2004 to release the music of his old pal Kuniyuki Takashi (who are both playing at the party). Besides the masterful crafted house, ambient, techno and experimental music of Kuniyuki, the label has released the music of a bunch of hard to pigeonhole musicians from all around the globe like Force Of Nature, DJ Terre Theamlitz aka DJ Sprinkles and Fred P. German Dial records co-owner, DJ and producer Lawrence has released three intimate LPs on the label and he is joining the party too. Warm up comes care of LET’S PLAY HOUSE’s Jacques Renault. The Duchess continues her residency in the Bad Room, Spiritual Mental Physical, with special guests Gusto (Detour/Hot Mass) and SKULPTOR (MATHEMATICS RECORDINGS ). Founded by The Duchess, SMP strives to serve the 3 critical aspects of a lifesaving nightlife experience: Music to move you, a Message to soothe you, and Memories to treasure. The party exists simply in service to The Guest. It is multi format, multi genre, high quality audio focussed, features custom lighting by Low Res , and only presents the finest, most uncompromising talent from the four corners of the earth.